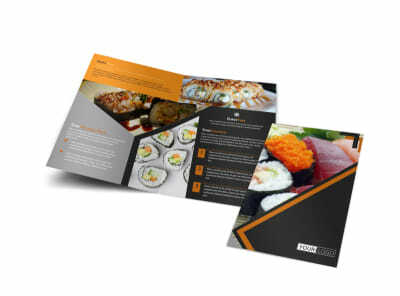 Customize our Outstanding Sushi Restaurant Brochure Template and more! 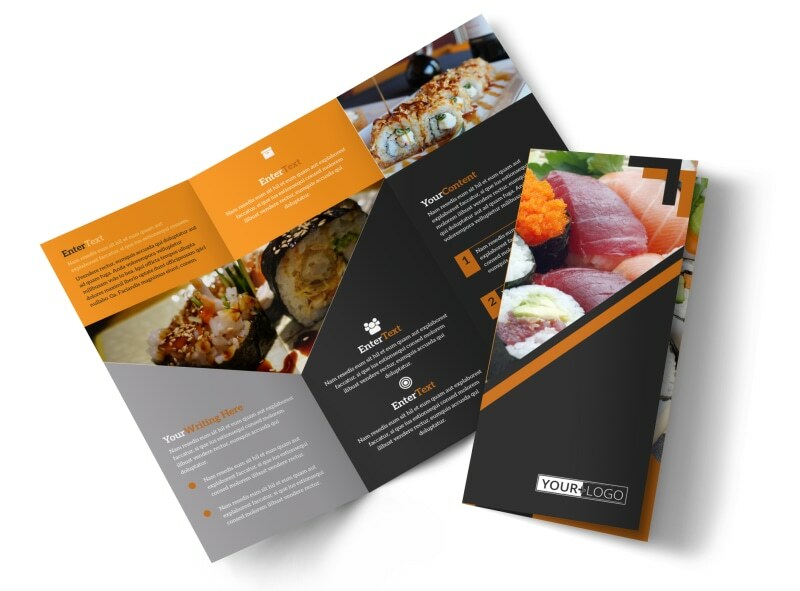 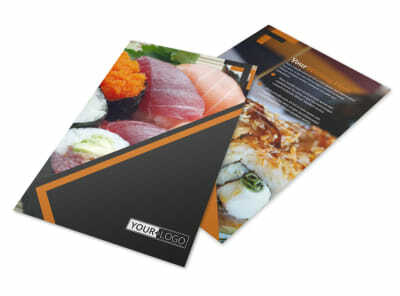 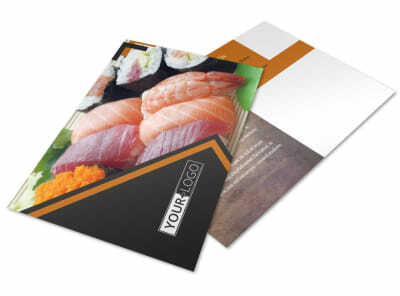 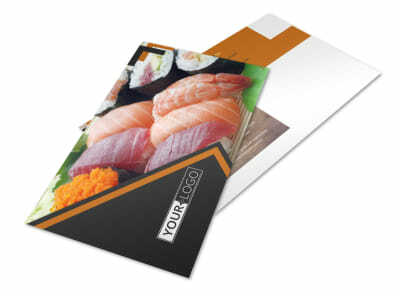 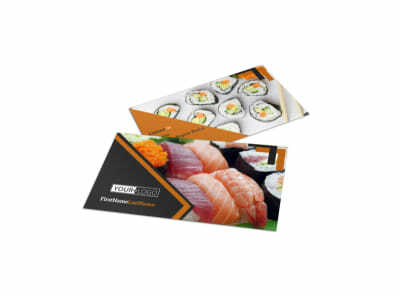 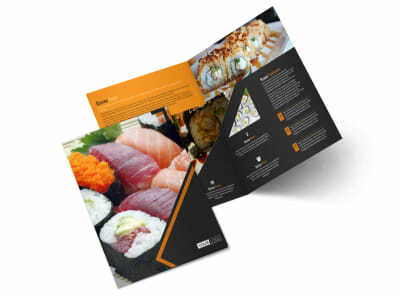 Provide a detailed menu selection for patrons at your Japanese restaurant with outstanding sushi restaurant brochures. 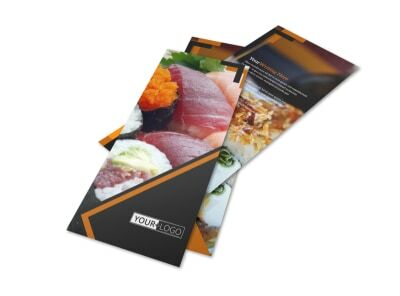 Use our online editor and a template to easily add images of each sushi dish your establishment offers, as well as an enticing description of each item. 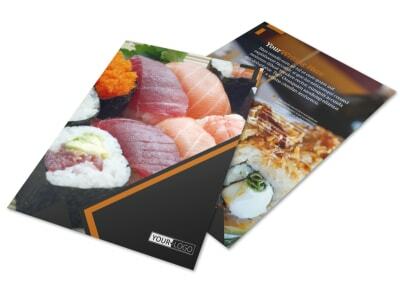 Include prices, adjust the color theme, and customize other design elements before sending to our printers.